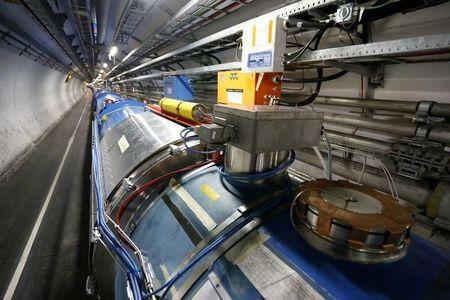 GENEVA (Reuters) - Scientists at Europe's CERN research center have had to postpone the imminent relaunch of their refitted 'Big Bang' machine, the Large Hadron Collider, because of a short-circuit in the wiring of one of the vital magnets. "Current indications suggest a delay of between a few days and several weeks," a statement from the world's leading particle physics research center said on Tuesday. Engineers had been expected to start on Wednesday pumping proton beams in opposite directions all the way round the two 27-km (17-mile) underground tubes in the LHC, closed down for the past two years for a refit. That would have been the prelude to the start of particle collisions in late May at twice the power of those in the LHC's first run from 2010-2013. The smashing-together of particles inside the LHC is designed to mimic conditions just after the Big Bang at the dawn of the universe. In a breakthrough in 2012, CERN scientists announced the discovery of a new subatomic particle, a basic building block of the universe, which appeared to be the boson imagined and named half a century earlier by theoretical physicist Peter Higgs. Hopes for the second run lie in breaking out of what it known as the Standard Model of how the universe works at the level of elementary particles, and into "New Physics." That includes searching for the dark matter that makes up about 96 percent of the stuff of the universe but can only be detected by its influence on visible matter around it. 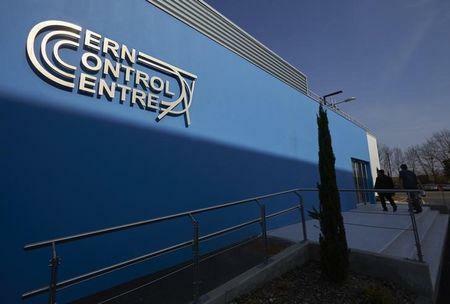 CERN scientists expressed disappointment at the last-minute problem, in just one of the underground machine's eight sectors, which have been rewired and checked thoroughly during the closedown. But the research center's director general, Rolf Heuer, played down its significance. "All the signs are good for a great run 2," he said in a statement. "In the grand scheme of things, a few weeks delay in humankind's quest to understand our universe is little more than the blink of an eye." 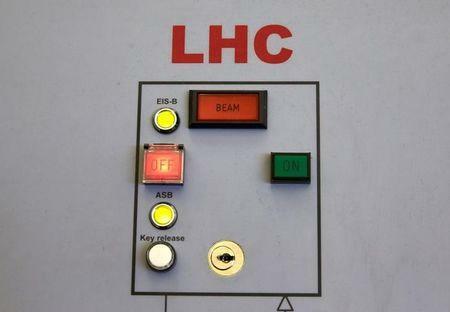 Scientists and engineers at CERN, mindful of a serious leakage in 2008 which caused a delay of two years in the start-up for the first LHC run, have long insisted that there can be no rushing into full operations. Frederick Bordry, director for accelerators, said it could take time to resolve what he described as an intermittent short-circuit because it was in a cold section of the machine, meaning that part would probably have to be warmed up. It would then have to be recooled. "So what would have taken hours in a warm machine could end up taking us weeks," he added.